Finding that perfect mountain bike line might mean going somewhere unexpected. Like away from a mountain. As somebody that is both scared of heights, and constantly falling off their bike, this ain’t for me. 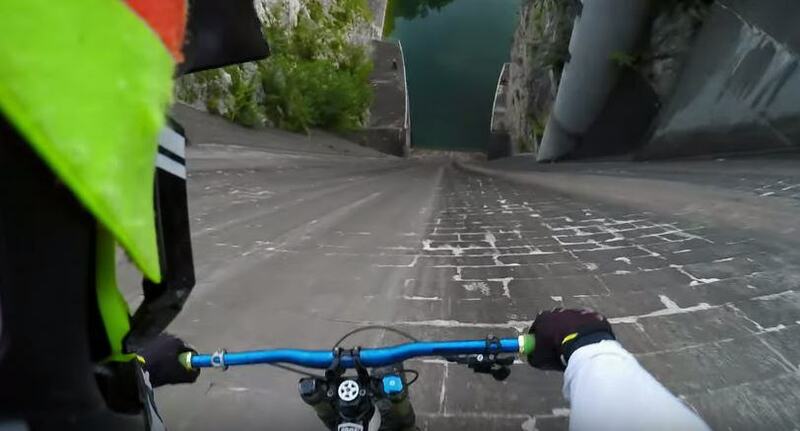 But Primoz Ravnik is a fearless nutcase on a mountain bike, and he handles it with ease. The close to vertical drop runs straight into water, which at that speed will probably feel pretty similar to concrete. No thanks. Still, it’s cool to watch somebody else do it, so we get to stay dry.